Little Fox is not a typical leveled reading program. 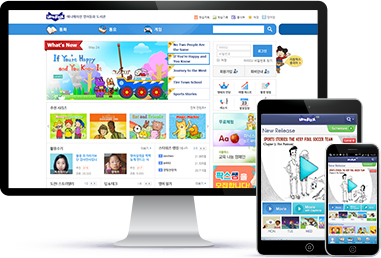 Our innovative 9-level curriculum features fun animated stories and interactive eBooks to make learning English fun and enjoyable for all. Learning English is so boring. My textbooks put me to sleep! All I ever learn is grammar. Why can't I learn useful stuff instead? 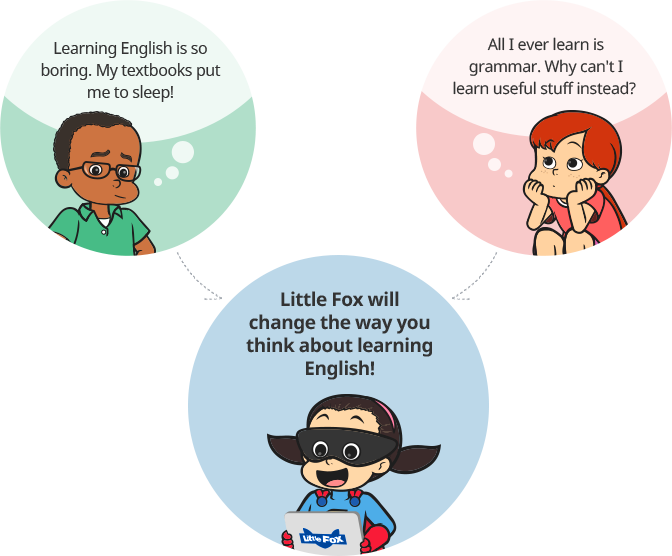 Little Fox will change the way you think about learning English! everyday English in realistic situations. the essential listening and reading skills that lead to effective speaking and writing. like learning a first language. 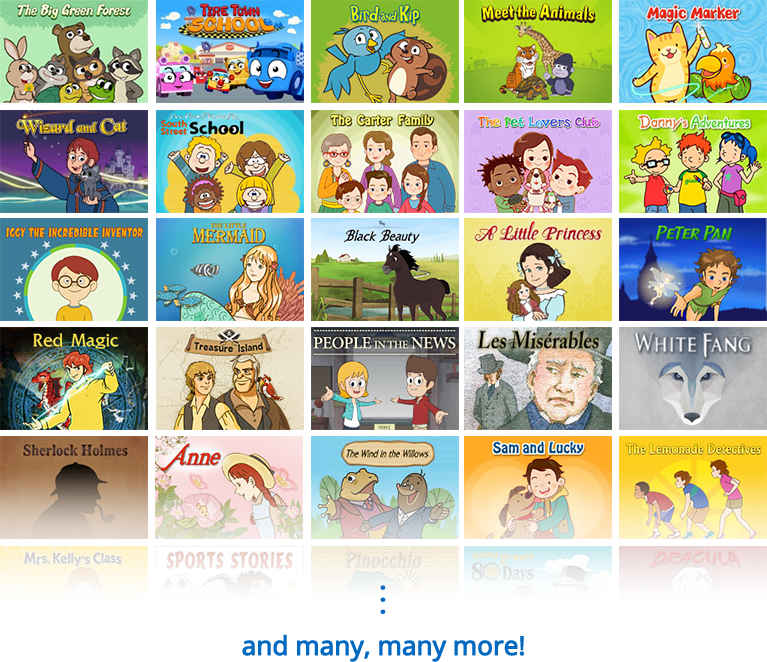 the exciting animated story, with or without captions. and read along with highlighted text in Read to Me mode. Or they can read the story on their own in Read It Myself mode. More episodes of these and other stories are waiting for you when you subscribe. there's a story for everyone! Tools to track progress and motivate study. 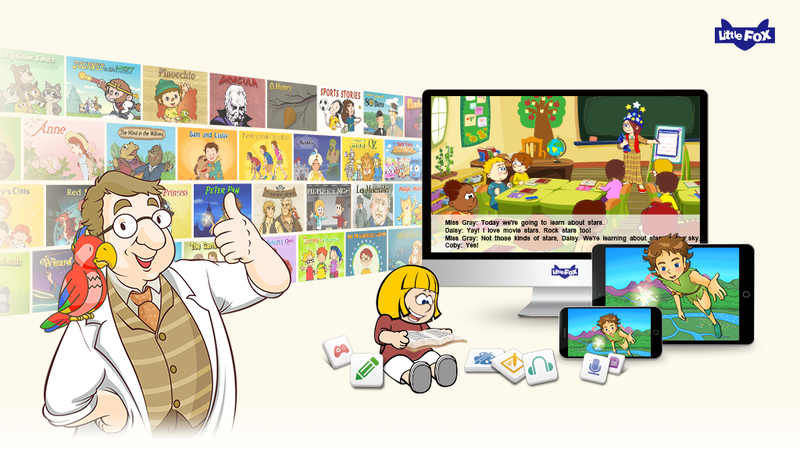 Plus over 320 animated songs and 200 games!